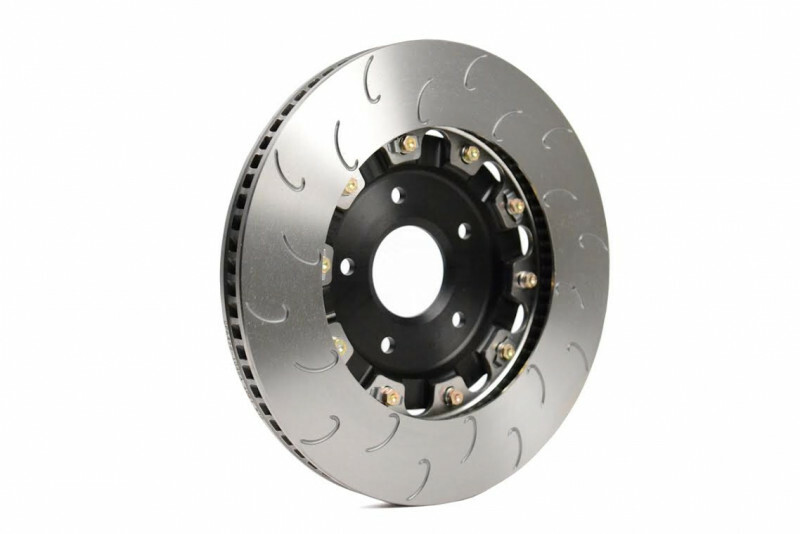 Essex Designed AP Racing 2-piece Competition J Hook Disc Pair (Front 345x30mm)- C7 Z51 Corvette | Essex Parts Services, Inc.
For a more complete analysis of the OEM C7 brakes, please read "Stingray Brake Analysis...Are they Track Worthy?" on our blog. 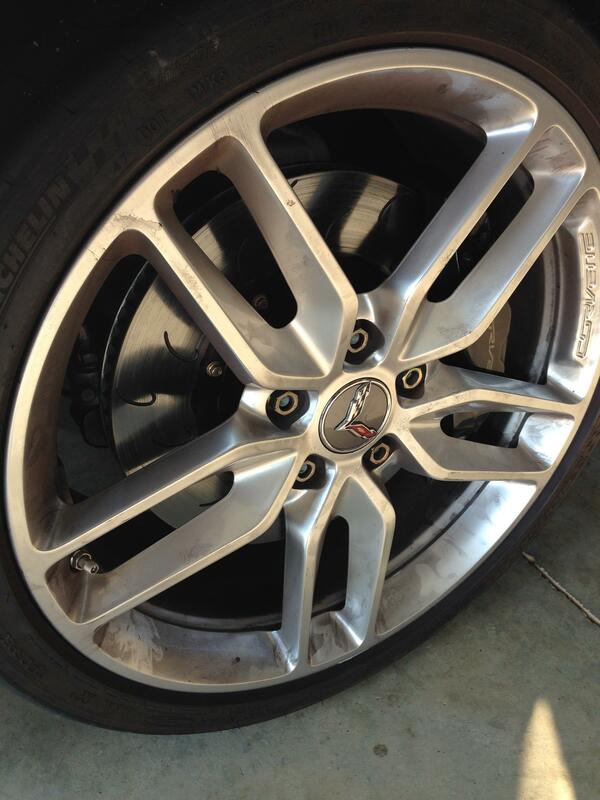 Compared to previous generations of Corvettes, GM definitely took a step forward with the brake design on the C7 Stingray platform. 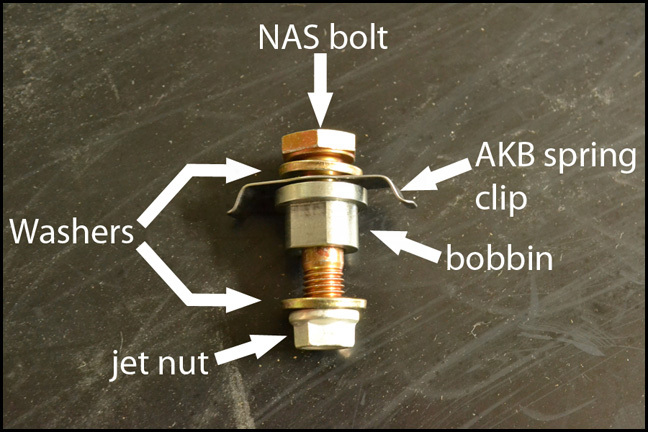 That said, the brake components were still designed primarily with road manners in mind. 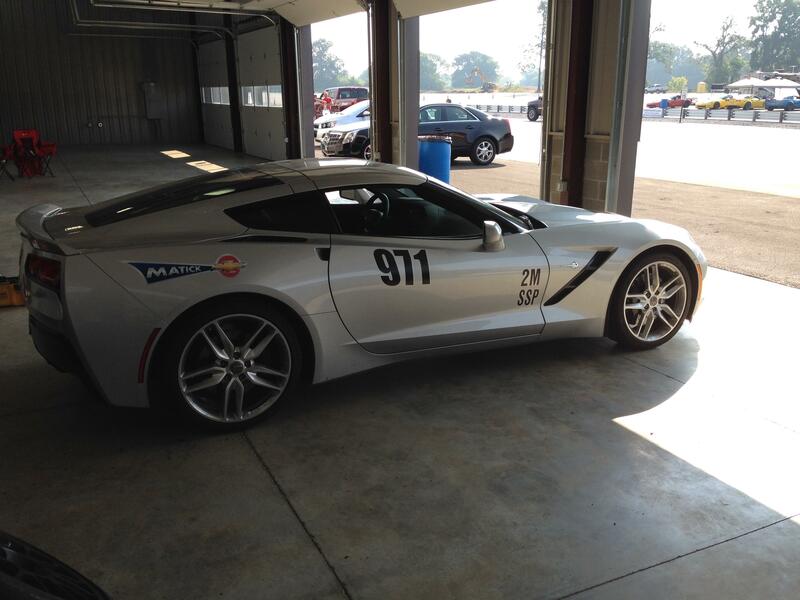 As you'll see below, there is a considerable amount of room for improvement if you plan to run your car hard on the racetrack. 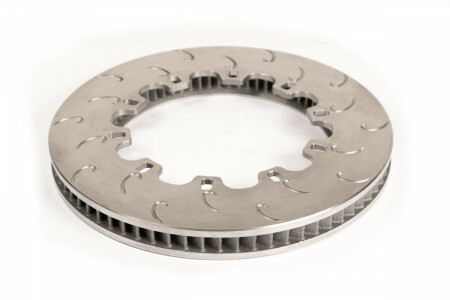 A proper racing disc design differs considerably from the OEM Z51 disc design, and will operate with far more efficiency in a racetrack environment. 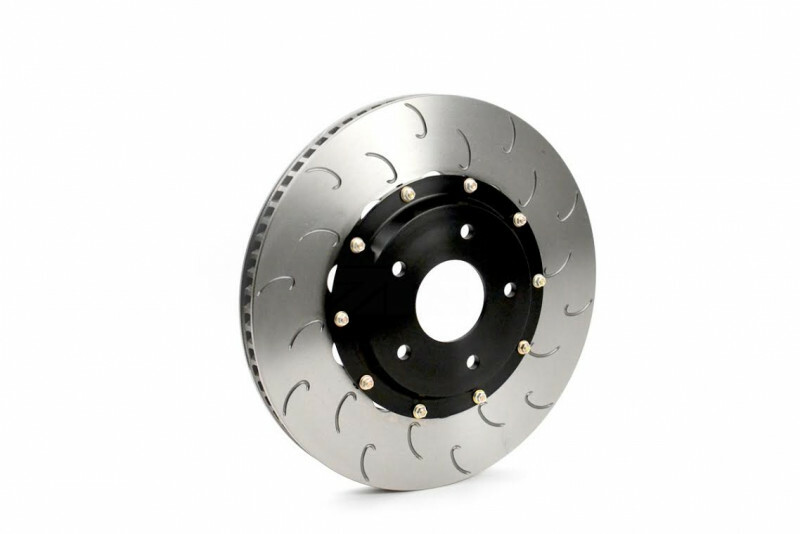 Despite having the same overall dimensions as the OEM Z51 discs, AP Racing's Heavy Duty J Hook Discs provide superior cooling, less judder, fewer cracks, and an increased service life vs. OEM and competing discs of comparable size. 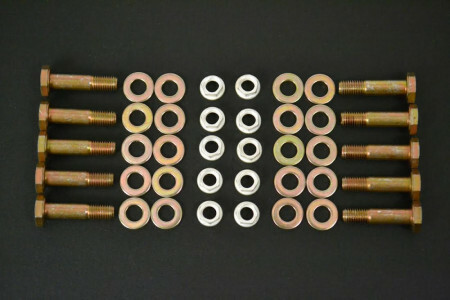 AP Racing J Hook discs are the epitome of endurance racing components, and have been proven time and again in professional racing, winning many races and championships (ALMS, Rolex, Grand Am, etc.). They will certainly stand up to any abuse that you throw at them. One of the biggest problems with the Stingray Z51 front discs is that they are a pillar vane design, just like the discs on the C7 base model. 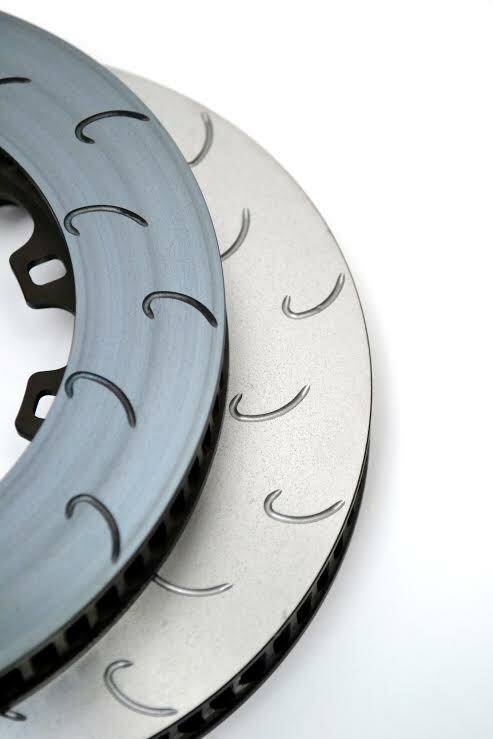 Pillar vanes are used to promote disc face stability and low NVH. 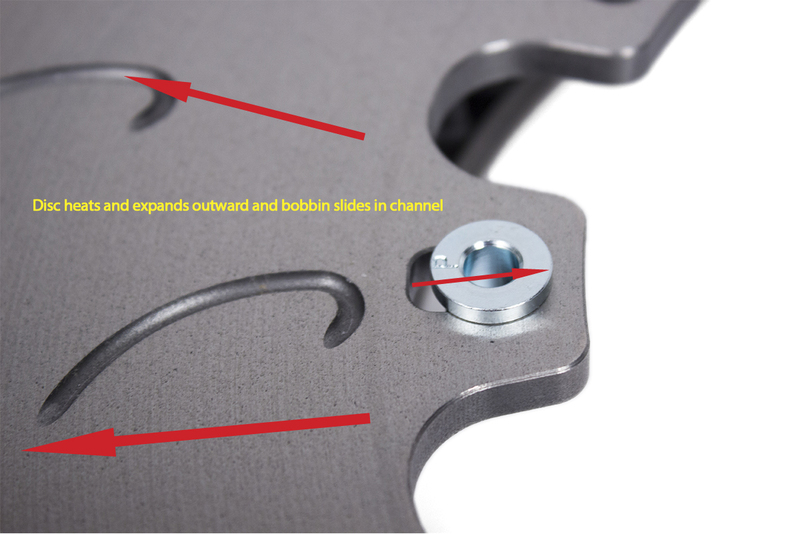 If you were able to see through the disc face, you'd see that the pillar array has many points of contact with the back sides of both disc faces. 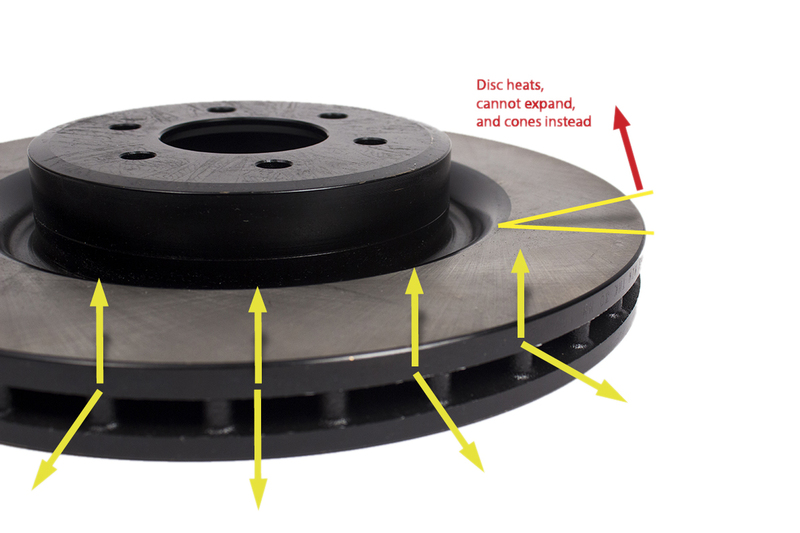 Such an arrangement reduces distortion of the disc face, prevents hot and cool spots, and ensures consistent pad transfer to the disc face when heated. That means less chance of judder, vibration, noise, and...warranty claims! 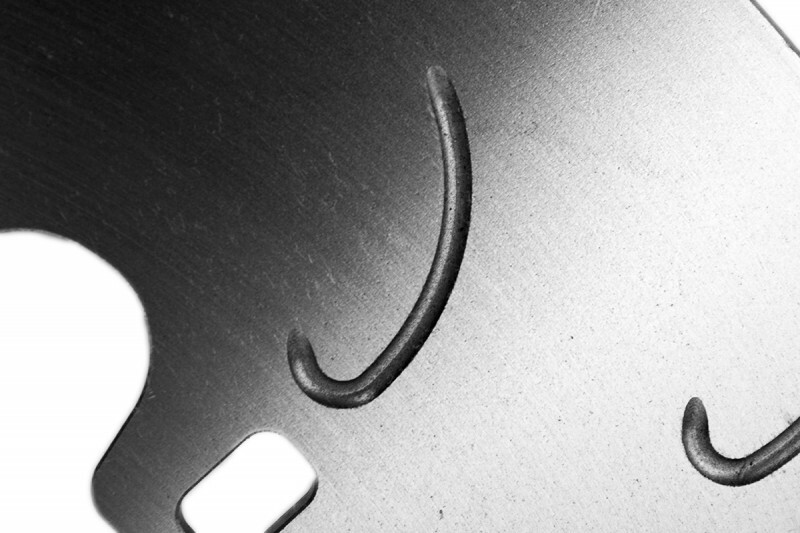 The major downside to pillar vanes is that they do not promote optimal airflow through the disc. They're non-directional, which means they aren't optimized for airflow on both sides of the car. They won't draw much air through them, even if air is force-fed directly into them via a duct system. As such, they will always tend to run hot when subjected to heavy track use. 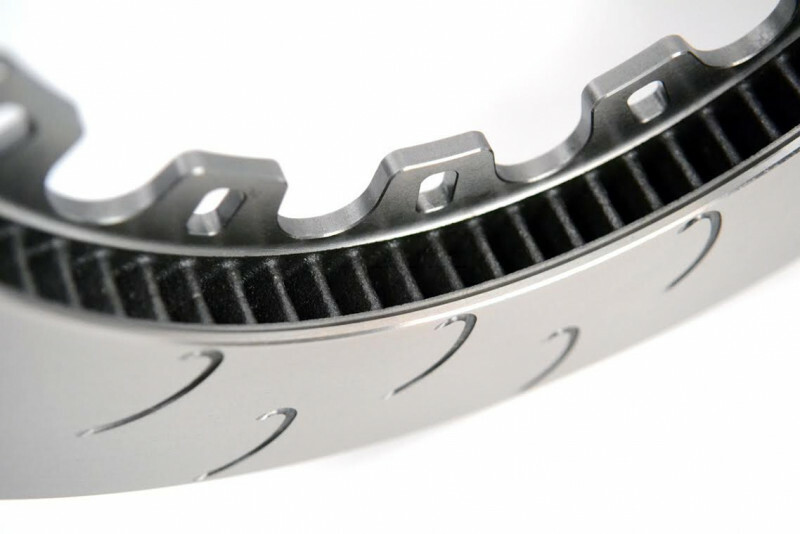 The internal vane design on AP Racing discs is considerably different from the OEM C7 Z51 discs. 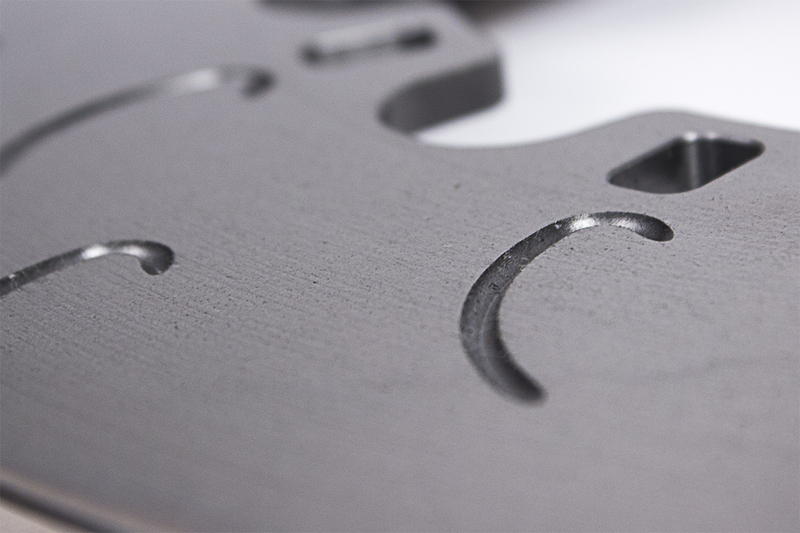 After extensive CFD and thermal stress analysis, AP designed their Heavy Duty J Hook discs with 72 curved vanes to increase airspeed and heat transfer, while reducing deflection and remaining reasonably lightweight. 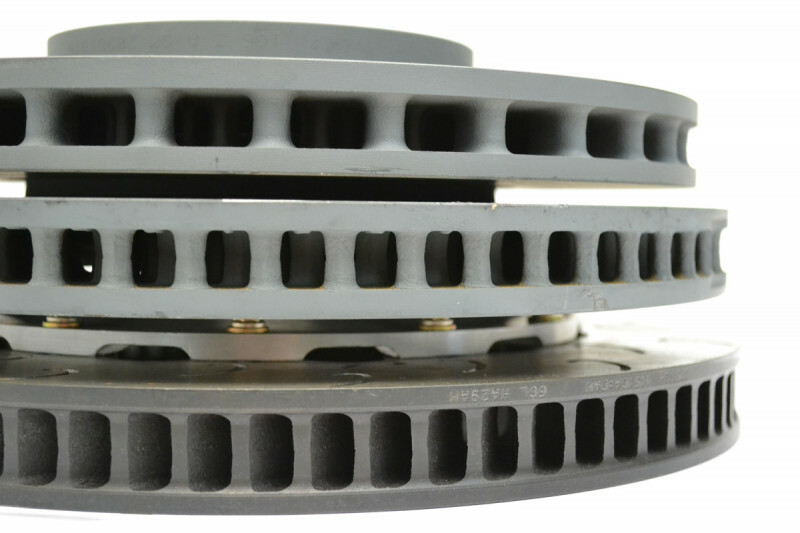 The increased directional vane count on the J Hook Heavy Duty Disc amplifies air speed through the disc, reduces air re-circulation between vents, and also increases convective heat transfer and heat distribution. 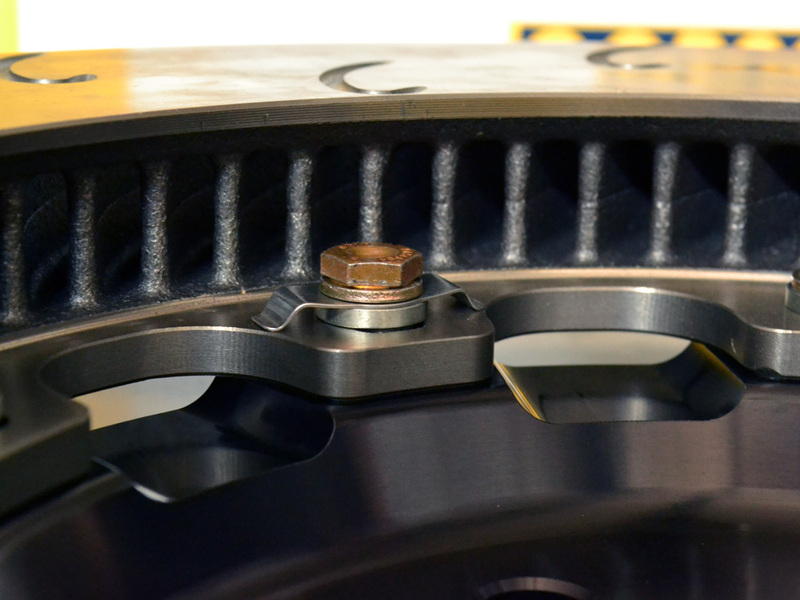 In other words, both air and heat move more quickly and evenly through the disc, creating increased stability under the extreme loads of racetrack use. The high 72 vane count has similar benefits to a pillar vane design, and is far more stable than competitors' 48 vane designs. 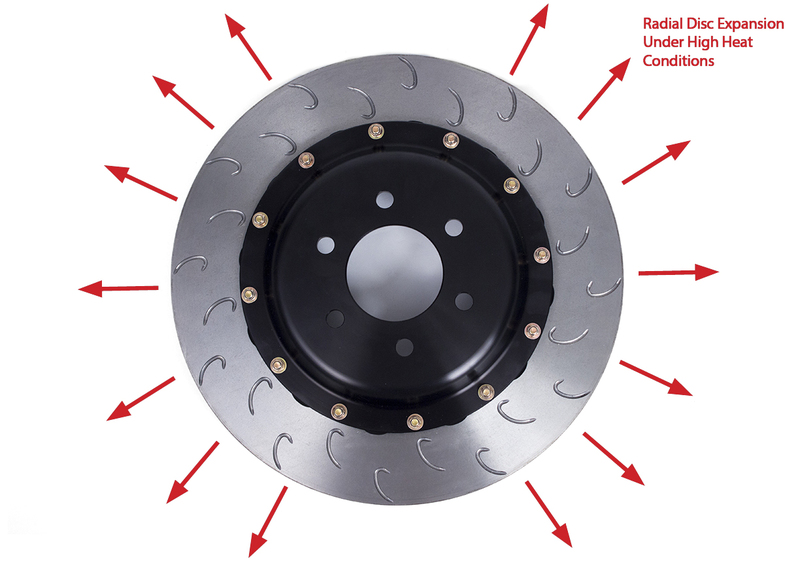 The distance between each of the 72 vanes is fairly small, which makes the disc less prone to coning, distortion, and cracking, while providing less brake fade, even pad transfer, reduced judder and vibration, and a longer service life. 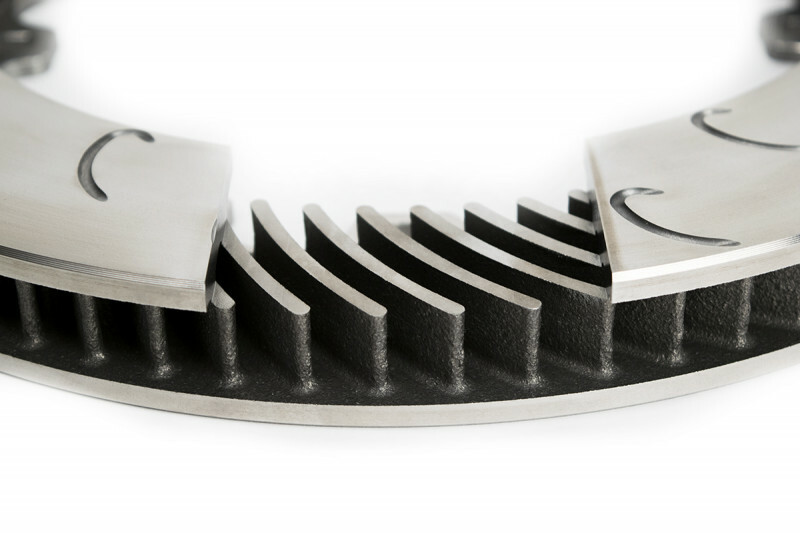 You receive similar benefits to the OEM pillar vane design, but with far greater airflow and cooling capacity. Below are the AP Racing on, and the OEM Z51 front disc on the right. Notice the shape and number of vanes. 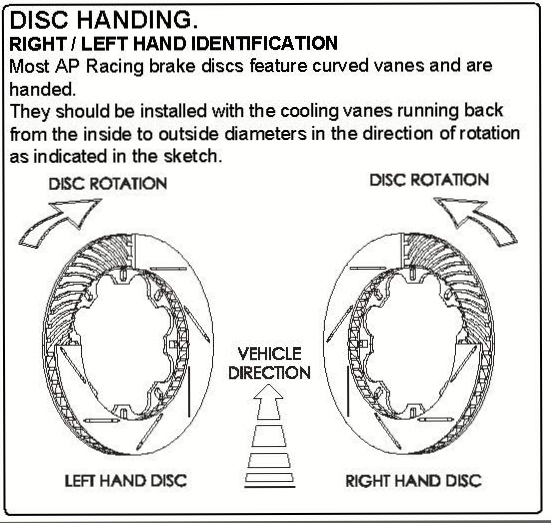 The AP Racing disc uses 72 directional curved vanes, which optimize airflow on each side of the car. 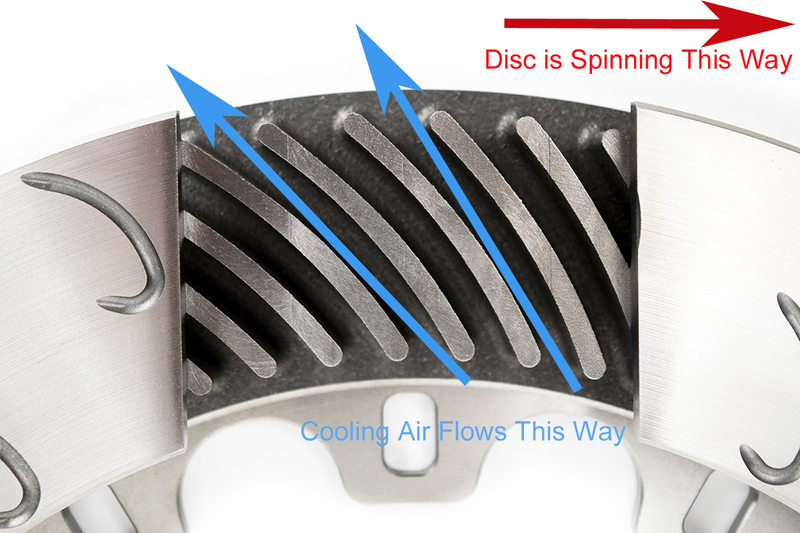 The disc acts like an impeller, pumping cooling air through the disc vanes, and forcing hot air out. 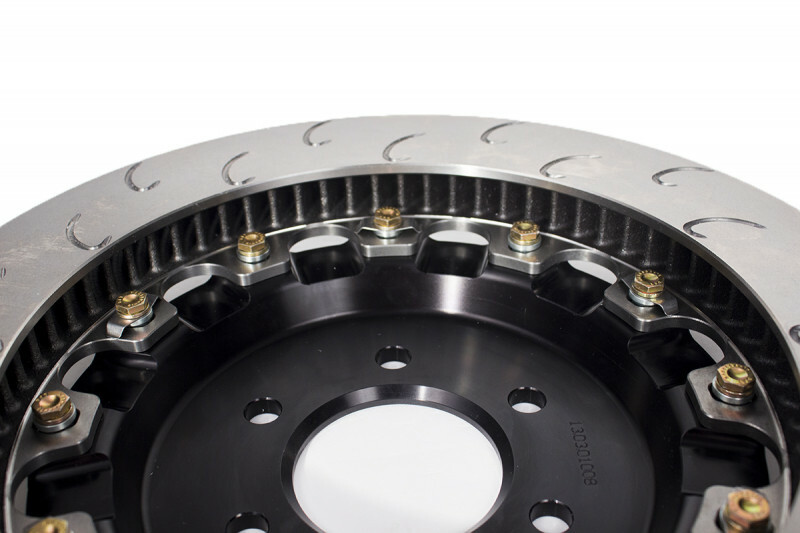 The OEM disc has far fewer vanes that are non-directional, and not optimized for either side of the car. They create turbulent air and do not promote airflow through the disc. Look at the huge difference in the width of the air gap. 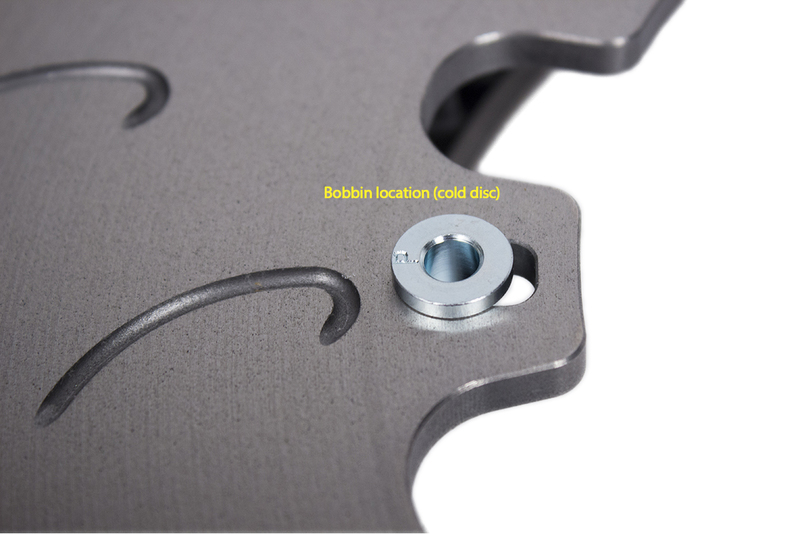 The entire width of the air gap is exposed on the back side of the AP Racing disc, which allows cooling air to enter. 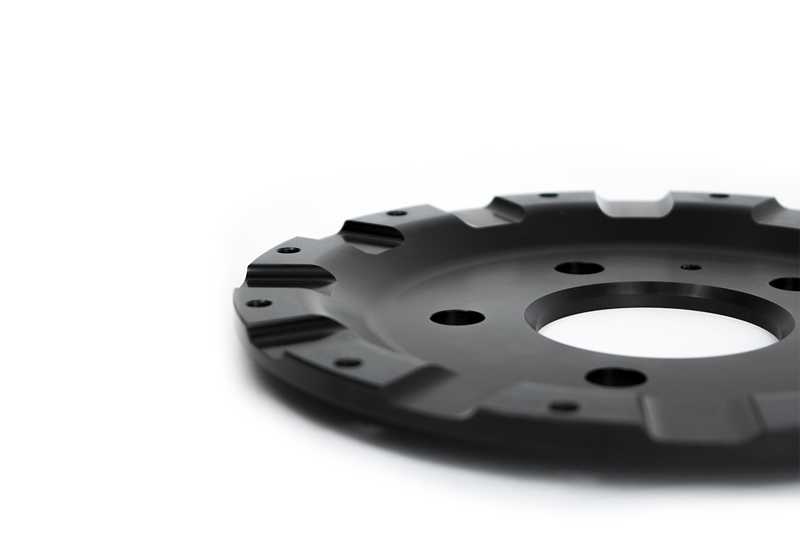 The OEM disc has a much narrower gap, and it is partially obstructed by the attachment arms of the dual-cast hat. 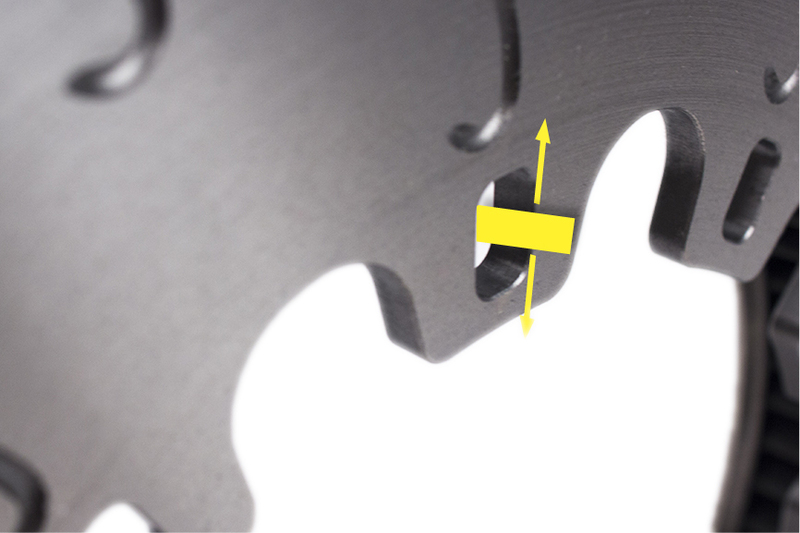 Also notice the large openings between the mounting points on the AP Racing disc. These openings allow air to flow into the back side of the hat and across the outer face of the disc. 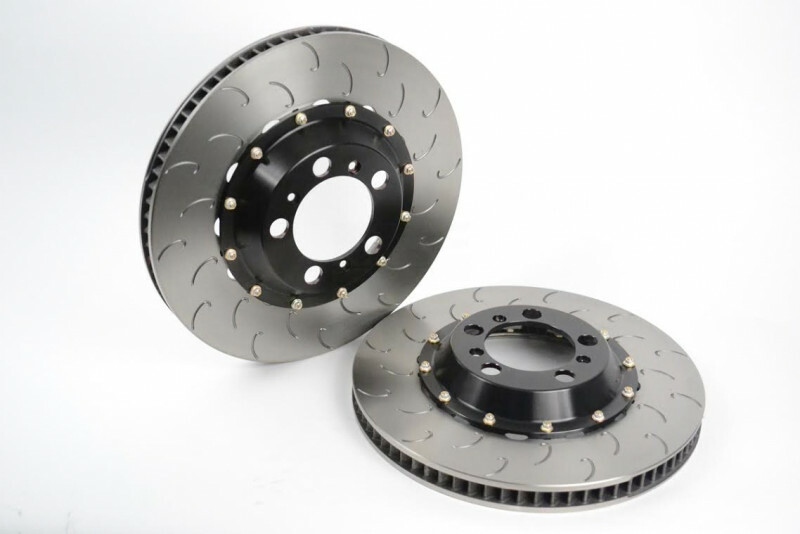 Airflow to the outer disc face is completely blocked on the OEM units, and at consistently elevated temperatures, an imbalance of that sort can lead to deformation and cracking. 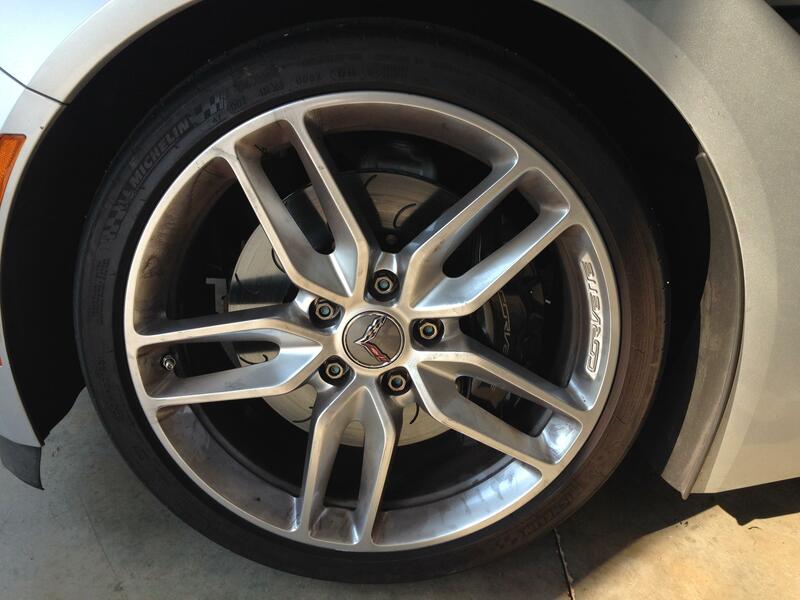 The C7 Z51 comes with a set of aluminum 'cooling' rings that can be installed in the front brake discs. The theory is that the rings will redirect air that would normally flow out of the discs, into the cooling vanes of the disc, reducing disc temperatures. In pracitce however, the rings don't seem to be terribly effective. 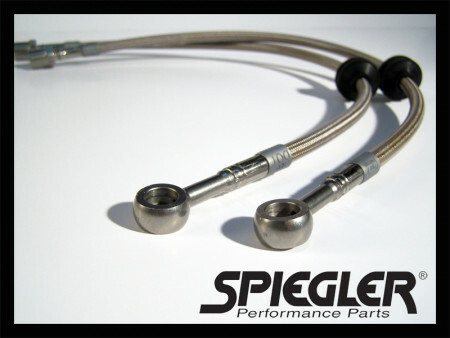 Most of our customers haven't noticed any substantial difference in performance when the rings are installed. The pillar vanes won't flow or draw much air through them, even if air is force-fed directly into them.